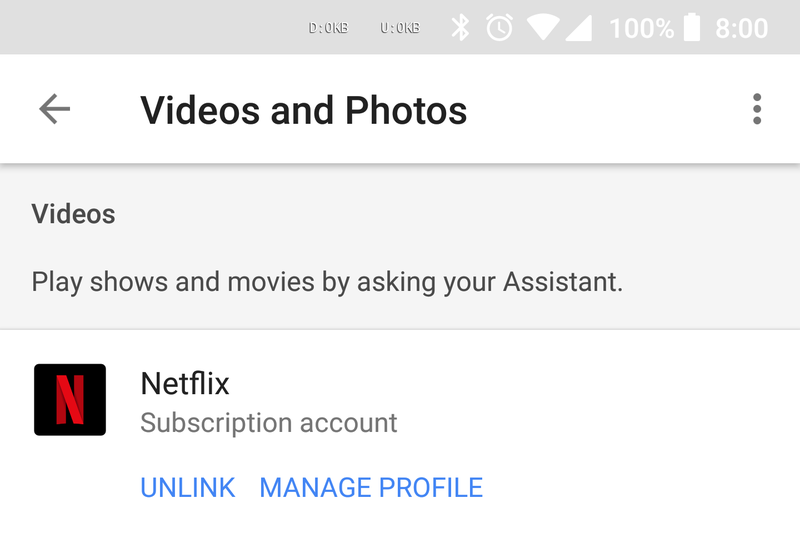 Netflix was one of the first video services to add support for Google Assistant, but you could only access the main video profile. That really limited usefulness in households where everyone has their own profile. Now, it looks like Google has flipped a switch to add support for multiple profile access via voice match. Google just updated the support docs with the following section. To make this happen, just make sure you have voice match configured for everyone who uses Netflix with a profile. In the Home app, go to menu > More settings > Videos and photos. 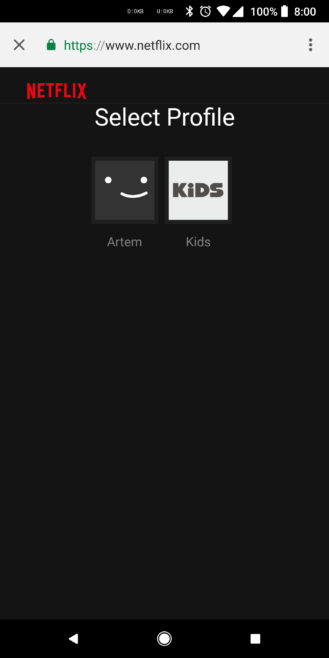 There should be a new "Manage Profile" option under Netflix. If it's not there, try unlinking and re-linking. The Manage Profile option lets you decide which profile is connected to your voice match. 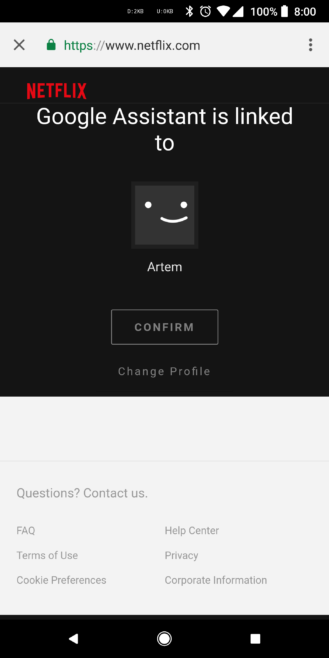 So, when you tell Assistant to continue playing Netflix content, it will know from your voice which profile to access. Others in the house can set their own voice match via the home app to access a different profile.